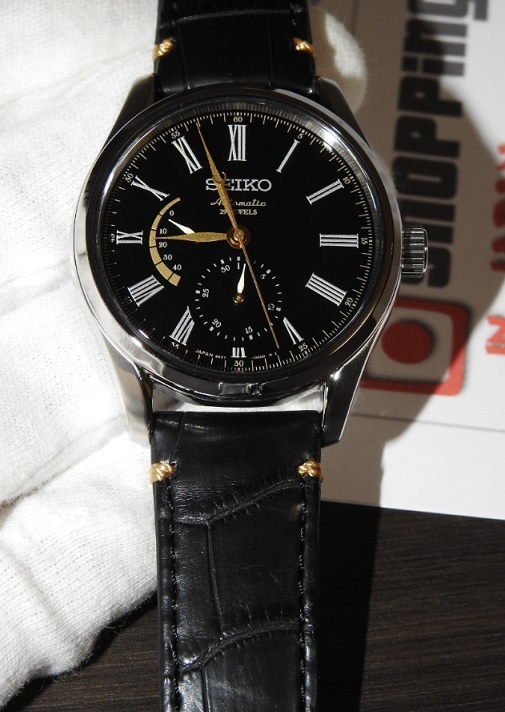 Price down now on this Seiko Urushi Printed Dial SARW013 that comes with Crocodile Leather Belt, Curved Sapphire glass, Hardlex See-through back, 29 Jewels, and with 6R27 Movement. This Seiko Presage SARW013 is a JDM (Japanese Domestic Market) watch model and it's now in our stock - ready to ship within 48 hours to any country. So buy now before it’s too late! I purchased this watch after much consideration and research and boy am I'm glad I did! It's simply put, Stunning! One of the most gorgeous beautiful watches I have seen and The most beautiful I have ever owned. The dial work is mesmerizing; so much depth to the black dial with the lacquer work enticing the eye to study every detail - the work gone into the indices and the hands, the beautiful script - everything just oozes beauty. It has the added class of a deployment clasp and Croc (or is it Alligator?) Strap. This is a watch for every day wear - it's not just a dress watch, even though it makes an exceedingly beautiful and attention grabbing dress watch. The size and the style means it can be worn with casuals and with formal dress - It looks superb with something like a Japanese made Buzz Rickson Mock Twist Chambray shirt and Japanese denims. Overall, all I can say is that the price is a bargain for what you get - this is just a small step away from Grand Seiko in terms of standard fit and finish and on Credor level with the dial work and love gone into it. The movement is a mid range new movement beating at 28,800 - very smooth! Beautiful and very accurate with a healthy power reserve. 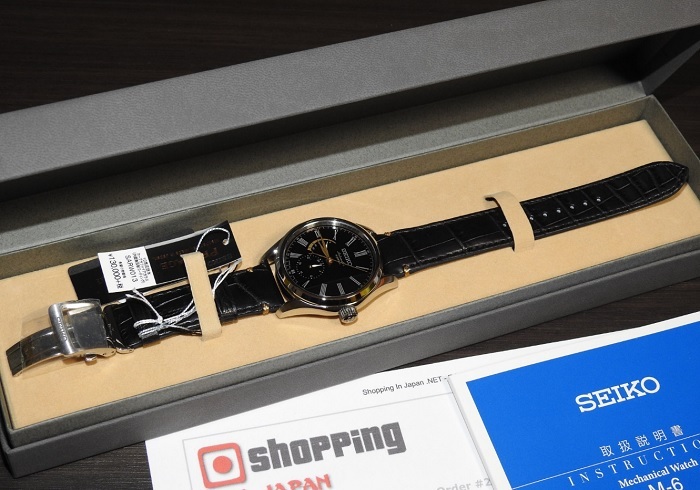 The service I received from shoppinginjapan was superb all the way, I'm in London England and Sara was brilliant, kept me in the loop all the way, gave me full flexibility with payemen and shipping - and the watch arrived in two days beautifully packaged with a $30 gift certificate. Very rarely have I received Customer Service on this personal and caring level!